Recently I visited the Canberra Deep Space Communication Complex at Tidbinbilla in the Australian Capital Territory, where they have a sample of aerogel, aka “solid smoke”. 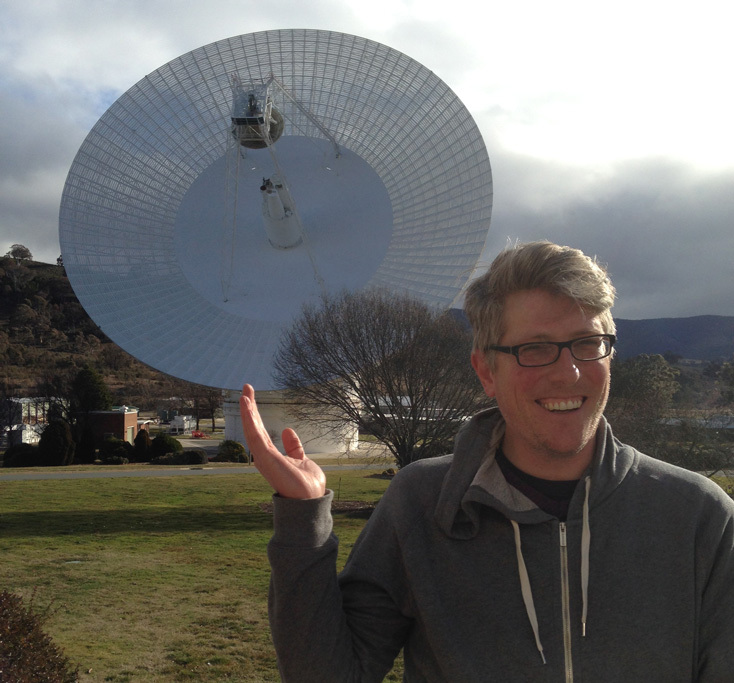 Here’s me posing in front of the Big Dish at Tidbinbilla. Disappointingly, their cafe doesn’t have a meal called a ‘Big Dish’. Get onto that, CDSCC! 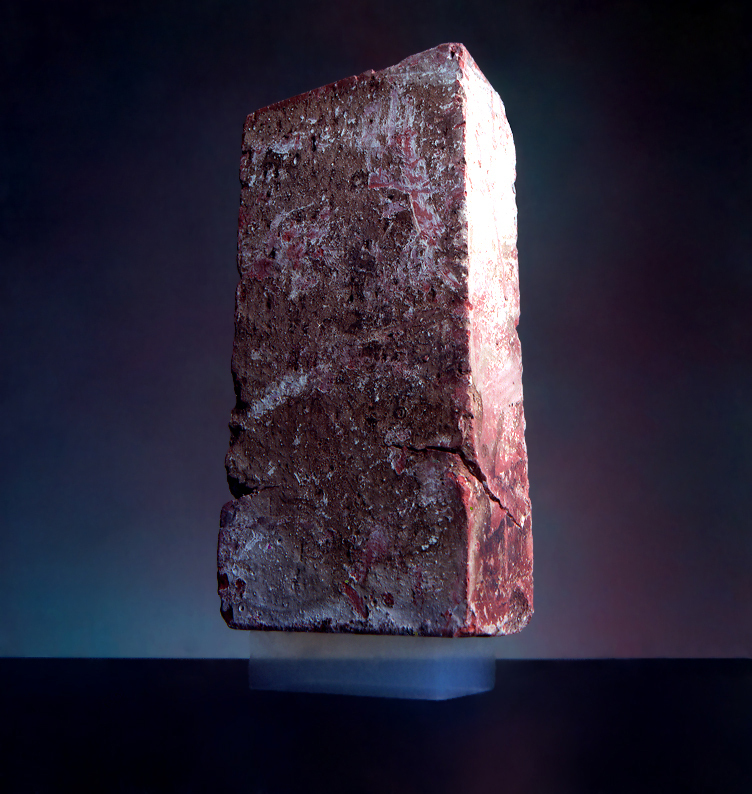 This ethereal substance was used on NASA’s Stardust probe to capture dust from comet Wild 2 and return it to Earth—along with a handful of precious samples of interstellar dust, giving a rare glimpse of material from outside our Solar System. Listen to our show from 27 August 2015 to hear all about it. You can also hear our interview with British scientist Maggie Aderin-Pocock, host of the long-running astronomy TV show The Sky at Night, and who’s also known for answering important questions like, do we really need the Moon? Did you know that the phrase “mad as a hatter” comes from the use of mercury in millinery? And that burning coal is the source of most mercury pollution? And that red mercury, a feared and much-sought ingredient of nuclear weapons, probably doesn’t exist? Find out the truth about mercury, aka quicksilver, aka hydrargyrum, the only metallic element that’s liquid at normal temperature and pressure. Speaking of hoaxes, you may also have seen articles circulating on social media claiming “Scientists blow the lid on cancer & sunscreen myth”. We bust the myth of this myth: the original article, published on Natural News, is based on a Swedish study published in May 2014, which highlights the need for people in Scandinavia to get enough vitamin D. At the same time though it confirms the link between sun exposure and melanoma, and actually says the rules are different in Australia. The moral of the story? Follow the Cancer Council’s SunSmart guidelines (which take vitamin D into account) and always check sources for scientific claims. Recently a listener wrote to us in response to a story we aired dismissing chemtrail conspiracy theories—our listener asked us to consider both sides of the argument. ‘Chemtrails’ are a type of aircraft contrails—which is short for ‘condensation trails’, long clouds formed by water vapour in aircraft exhaust or due to pressure changes from wings. The difference is that chemtrails are supposedly deliberately created, either to change the climate as a form of geoengineering, or some other form of weather control, or maybe mind control, or some other mass-poisoning depending on what’s being sprayed. This is, of course, generally considered to be nonsense. In saying that, I have considered both sides of the argument, albeit correctly weighted. As always, Lost in Science gives greater weight to peer-reviewed scientific evidence. And there is in fact a surprising amount of published research relevant to this topic. Now, I did try to respond to our listener, but unfortunately the email bounced, so I’m writing this blog post instead in the hope they see it. Hi! Please keep listening! Geoengineering, a popular term for deliberately manipulating the climate, is becoming a hot topic as our inadvertent climate manipulation becomes more dire. But it comes with many moral, ethical and practical risks, so it’s currently much further down the list of preferred responses than stop burning fossil fuels. We have in fact discussed it before on Lost in Science: in March 2013 we aired a discussion on the ethics of geoengineering between Peter Singer and Clive Hamilton (author of the book Earthmasters: Playing God with the climate). And in 2011 we looked at a range of proposed mechanisms (Geoengineering as climate change plan B), largely collated from an excellent 2009 review from the UK’s Royal Society. This is a fancy name for reducing the amount of sunlight reaching the Earth. This is not a new idea: apart from Mr Burns, volcanoes have been doing this forever by spewing ash into the atmosphere. The eruption of Mt Pinatubo in 1991 reduced global temperatures by about 0.1 °C for a couple of years. In fact, one of the first people to push for injecting particles—or aerosols—into the atmosphere to counteract climate change was the father of the hydrogen bomb, Edward Teller. You can listen to me talking about him at the Laborastory. For instance, sulphur pollution from China’s coal-fired power stations are believed to have contributed to the slowing of global surface temperature rise. Limited evidence precludes a comprehensive quantitative assessment of both Solar Radiation Management (SRM) and Carbon Dioxide Removal (CDR) and their impact on the climate system… Modelling indicates that SRM methods, if realizable, have the potential to substantially offset a global temperature rise, but they would also modify the global water cycle, and would not reduce ocean acidification. If SRM were terminated for any reason, there is high confidence that global surface temperatures would rise very rapidly to values consistent with the greenhouse gas forcing. CDR and SRM methods carry side effects and long-term consequences on a global scale. It doesn’t sound to me like they’re actually doing it, or that they think it’s a good idea. And surely if it was a global conspiracy, they’d be in on it? This is the kicker: scientists have actually studied the impact of contrails. That same IPCC report has a whole section on it (section 7.2.7.1, Contrails and Contrail-Induced Cirrus). They find that, unlike in solar radiation management proposals, contrails actually increase the temperature, because they block the outgoing infrared (heat) radiation from the ground more than they block the incoming sunlight. Persistent contrails from aviation contribute a RF of +0.01 (+0.005 to +0.03) W m–2 for year 2011, and the combined contrail and contrail-cirrus ERF from aviation is assessed to be +0.05 (+0.02 to +0.15) W m–2. This forcing can be much larger regionally but there is now medium confidence that it does not produce observable regional effects on either the mean or diurnal range of surface temperature. RF here is radiative forcing, the net thermal energy reaching the Earth. For comparison, the IPCC puts the total anthropogenic, or human-caused contribution at about 1.5 W m–2. This is based on numerous published scientific papers. I’m not going to bore you with them here—instead you can click my Read more link and see the list. You’re welcome. Total aviation RF (excluding induced cirrus) in 2005 was ~55 mW m–2, which was 3.5% of total anthropogenic forcing. Including estimates for aviation-induced cirrus RF increases the total aviation RF in 2005–78 mW m–2, which represents 4.9% of total anthropogenic forcing. If global aviation was a country its emissions would be ranked 7th between Germany and South Korea on CO2 alone. That’s quite a bit. So although the contribution of contrails alone is small, when you add in their carbon emissions then yes, flying planes does affect global temperature. But even so, all this science suggests that, whatever you call them, contrails or ‘chemtrails’ are not being used as a deliberate global conspiracy. However, we should still be concerned about the impact of air travel on the climate. It’s coming into the summer imbibing season, so expect a lot of wine to be poured. 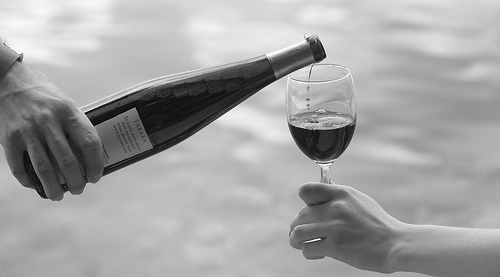 And as the wine was poured at a recent pre-summer BBQ, I was asked the question: what’s up with that little twist thing that waiters do when they finish pouring your glass? Is it just for show, or does it really stop the drips? Now don’t get me wrong, it is showy; but the showiest I’ve seen also involved a snazzy napkin around the bottle, which does raise doubts about its anti-drip efficacy… Maybe science can answer the question! Well, as far as I’ve found there isn’t any actual research on this topic—but there is some related work on teapots, which I shall attempt to adapt. In 2009, some French physicists published a paper on what they called the “teapot effect”; that’s when your teapot dribbles when you finish pouring, leaving a puddle on the saucer or on the tabletop (Duez C, Ybert C, Clanet C & Bocquet L 2009, “Beating the teapot effect”, Physical Review Letters, vol. 104, 084503, arXiv:0910.3306). They found it was due to the relationship between inertial flow from the spout and surface wetting, i.e., liquid sticking to the surface. As the flow decreases, the water forms drops that cling to the lip of the spout. Their solution was to use a superhydrophobic surface. OK, so in the science of wetting, you classify surfaces in different ways. There are surfaces that like to get wet; they’re called hydrophilic. These are usually smooth surfaces of a material that has high energy, i.e., strong chemical bonds between the molecules, which override the surface tension of the liquid. So things like metal, glass and glazed ceramic. If you think how drops of water spread out on the window—glass wets easily. Then there are surfaces that are hydrophobic, and they usually have low energy. Things like hydrocarbons, fats and oils. Think about when you wax your car and the water forms beads: that’s hydrophobic. 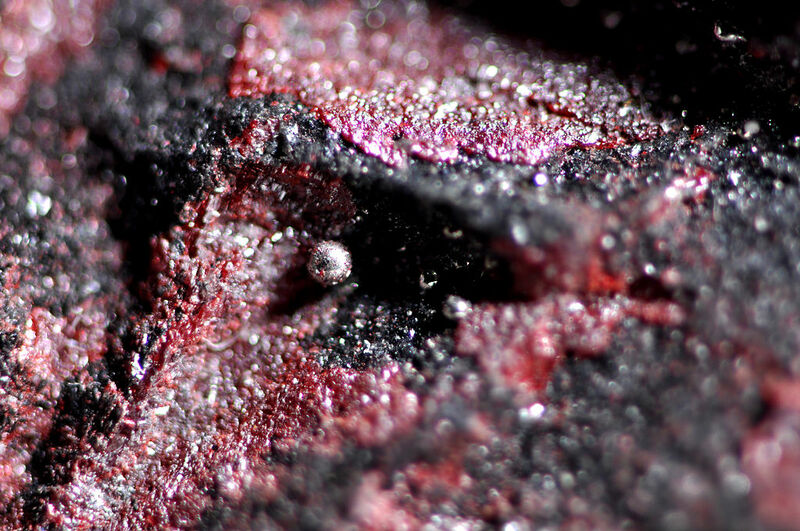 Then there are superhydrophobic surfaces, which are extremely hard to wet. You find these in nature, like on plant leaves, insect wings or yes, even duck feathers. These often have surfaces that are rough on the nanoscale. The roughness stops the water drops from spreading out, forcing them to form little globules. As the figure above shows, if you use a superhydrophobic surface on the teapot spot, the liquid doesn’t cling to it and instead it pours neatly, no matter how slow the flow. Now, there have been other attempts to make dripless teapots by controlling the flow, like using a “speed bump” to stop it getting slow enough to dribble, or by having a really sharp edge that’s harder for drops to cling to. But I like the French research because it identifies the mechanism, which we should be able to generalise to wine. Essentially the same thing happens: the liquid bends towards the glass when pouring, and as you stop the last few drops hang on, running down the bottle and leaving a trail over the tablecloth. So that’s the cause, but what’s the solution? Can we insist on wine makers switching to superhydrophobic bottles? Maybe, or maybe the twist is easier. 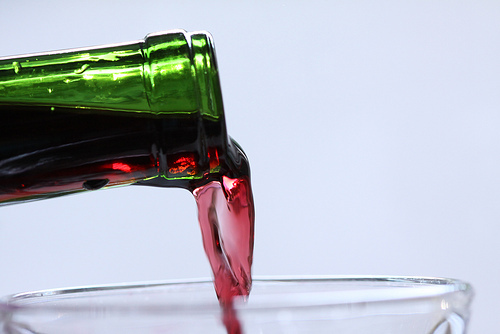 This appears to simply embrace the fact that a drop is going to cling to the glass, but instead of letting it fall down, the twist turns the drip so it runs around the mouth of the bottle instead of down. One piece of advice I did find is to try it with a slow-flowing liquid, like honey. It’s pretty easy to do, and a great demonstration of how the twist diverts the drip; just be prepared to get sticky if you get it wrong on the first go. But it does work, and is maybe a good way to practise before moving on to a grown-up liquid. Try it yourself! And if you don’t like that, well one other old trick for stopping teapot dribbles is apparently to rub butter on the spout. Butter, being hydrophobic, should also reduce wetting and prevent drops. So the same trick should also work for wine—as long as you’re not afraid of having greasy vino. Something else to try at your next BBQ. Are you sick of trivia nights that don’t have enough science questions? 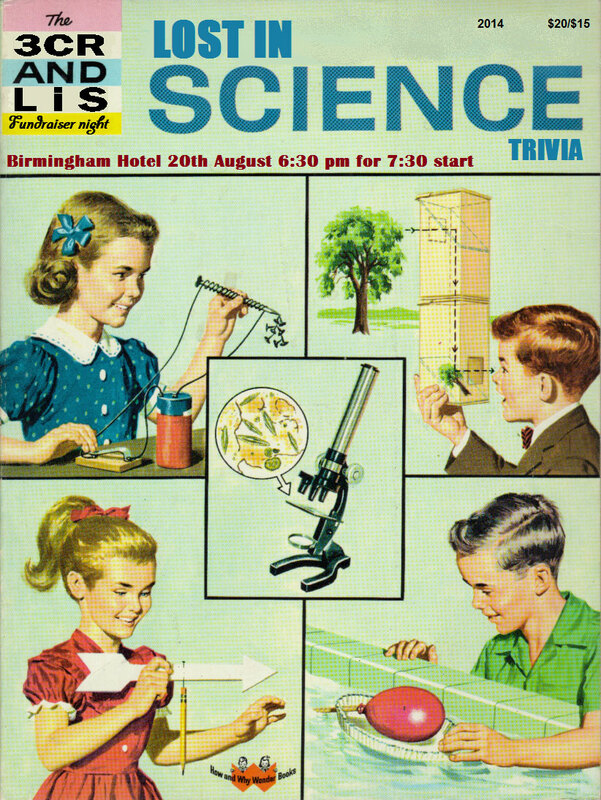 Then come to the inaugural LOST IN SCIENCE TRIVIA NIGHT! Help us raise money to keep 3CR Community Radio (and us) on the air and celebrate National Science Week. Find out more on Facebook or book tickets now on Eventbrite! Drug cheats risk damage their health and their sport, but they may not even be getting any benefits victory-wise. For instance, Essendon got busted by the Australian Sports Anti-Doping Authority (ASADA) for a big long list of drugs (See pages 24–25 [PDF 167 KB]). Some of these were bordering on the homeopathic and some were just vitamin and mineral supplements—which are of dubious benefit as well. But the one that’s caused the most controversy is AOD 9604, a peptide developed in the hope it would help with weight loss. Peptides are essentially small proteins: like proteins, they’re made out of chains of amino acids, but they’re generally too short to be considered a proper protein. However, they can sometimes mimic parts of other proteins, and in some cases they’re what are known as secretogogues, in that they stimulate the secretion of growth hormones. These are then meant to do things like increase muscle mass, which is where you got the idea of weight loss—and the theory they improve athletic performance. The trouble is that even if you took pure growth hormone itself it probably wouldn’t enhance performance—as shown in a systematic review of research involving 303 participants (Hau Liu, Bravata DM, Olkin I, Friedlander A, Liu V, Roberts B, Bendavid E, Saynina O, Salpeter SR, Garber & Hoffman AR, “Systematic review: the effects of growth hormone on athletic performance”, Annals of Internal Medicine 2008;148(10):747-758. doi:10.7326/0003-4819-148-10-200805200-00215). Although it’s surprising that people would risk their careers over something that doesn’t benefit them, when looked at from a scientific point of view it shouldn’t be that surprising. After all, many drugs designed to treat a specific disease don’t work as well as theory says they should, so why should those used to enhance performance be any different? But some of these drugs do work, and for evidence let’s turn to a proven “winner”: cyclist Lance Armstrong, who admitted to doping and was subsequently stripped of his seven victories in the Tour de France. 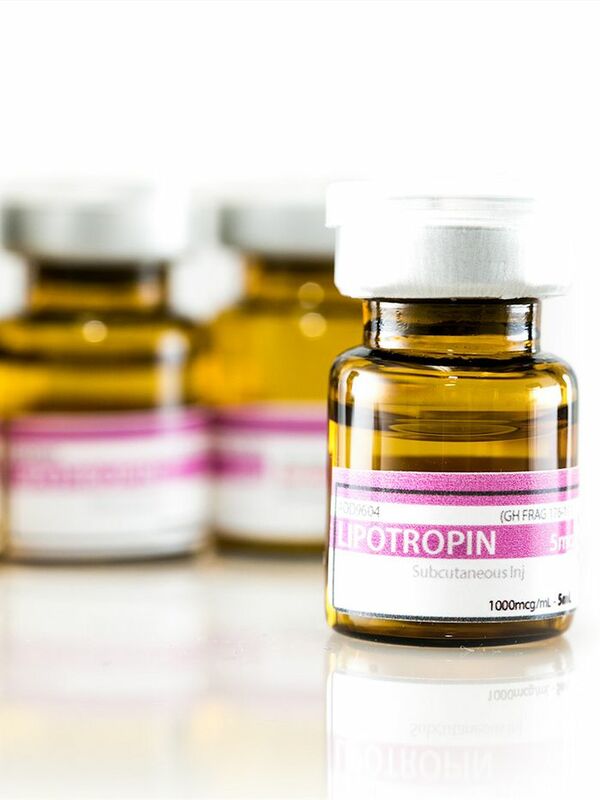 The main drug Armstrong used was erythropoietin, or EPO, which is a protein that controls red blood cell production. The idea is that taking it increases the number of red blood cells, which increases the amount of oxygen your system can carry. And the research stacks up. A study published in February last year which found that it improved running performance by athletes by 6%. Even 4 weeks afterwards, their performance was still 3% better than normal (Durussel J, Daskalaki E, Anderson M, Chatterji T, Wondimu DH, Padmanabhan N, Patel RK, McClure JD, Pitsiladis YP, “Haemoglobin mass and running time trial performance after recombinant human erythropoietin administration in trained men”, PLOS One, Published: February 13, 2013, DOI: 10.1371/journal.pone.0056151). After testing tightened up, Armstrong and his cronies avoided getting caught by instead using transfusions of their own concentrated red blood cells, to basically get the same benefit as taking EPO. Naturally, that’s harder to detect, but now there’s more monitoring of riders’ physiology—what they call a “biological passport”—to see whether there are suspicious changes. But where these get into grey areas is that it’s also possible to increase the concentration of red blood cells—and even EPO—through “natural” means, like altitude training (McLean BD, Buttifant D, Gore CJ, White K, Liess C & Kemp J, “Physiological and performance responses to a pre-season altitude training camp in elite team sport athletes”, International Journal of Sports Physiology and Performance, 2013, 8, 391-399 [PDF 257 KB]). Even though that method wears off after a few days, and it’s not always practical to go back up and down a mountain to get it back, does it make a difference how you do it if it’s essentially the same physiological effect? This puts the whole issue of doping into an even greyer area, but the question can also be turned around: why take possibly harmful drugs when there are other, more reliable ways to get the same result? In more ways than one, the risk to a sporting career isn’t worth the benefit. Even though the laws of physics seem to permit time travel, many physicists and non-physicists still worry about the paradoxes that arise when you try to change the past (for an example see… well, pretty much any movie involving time travel). But quantum mechanics can give a way out of the mess, and an experiment performed at the University of Queensland has tested what happens when you try this. Although not a dinkum time machine, the experiment simulated the effect of sending a photon (a particle of light) back in time by using two photons, one acting as the past version and one as the future version, and having them interact (Martin Ringbauer, Matthew A. Broome, Casey R. Myers, Andrew G. White & Timothy C. Ralph 2014, “Experimental simulation of closed timelike curves”, Nature Communications 5, Article number: 4145, doi:10.1038/ncomms5145). To make it act like a time machine, they imposed theoretical conditions established in 1991 by David Deutsch (Deutsch 1991, “Quantum mechanics near closed timelike lines”, Physical Review D 44, 3197, DOI:10.1103/PhysRevD.44.3197 [PDF 4.7 MB]). In Deutsch’s theory, any attempt to meddle with the past gives mixed results, i.e. a quantum mixture of meddled and non-meddled. These separate possibilities exist simultaneously, and are often interpreted as alternative timelines created by the act of travelling back in time. There are other theories of time travel, such as those that forbid any changes to the past that haven’t already happened, but Deutsch’s model is a particularly popular one. The study of even a simulated time machine gives clues to how our understanding of physics may have to change to accommodate such bizarre circumstances. An entirely new order of invasive amphibians has set up residence in Australia, with populations of newts thriving on the outskirts of Melbourne. The smooth newt, Lissotriton vulgaris, is native to Europe, but the similar climate in south-eastern Australia appears to have helped it establish breeding populations at at least four sites around Melbourne (Tingley R, Weeks AR, Smart AS, van Rooyen AR, Woolnough AP & McCarthy MA 2014, “European newts establish in Australia, marking the arrival of a new amphibian order”, Biological Invasions, DOI: 10.1007/s10530-014-0716-z). This is a big deal, because there are no newts native to Australia. In fact, the only indigenous amphibians are frogs, many of which—like the Baw Baw Frog—are endangered due to an infectious disease caused by chytrid fungus. However, newts were imported as pets up until 1997, when the Victorian government declared it a “controlled pest animal.” It’s likely that the current populations originally came from escaped or released pets. Being a relative newt-comer, it’s not yet known how bad an impact they will have. The newts eat invertebrates, crustaceans, and the eggs and hatchlings of frogs and fish, so it’s likely that they will compete with and even prey on native species. It’s possible they could also transmit the frog-killing chytrid fungus. But the researchers are also concerned about a toxin they produce. So far it’s looking like the toxin is at too low levels to do any harm, but there is still a worry that they could poison other native species that may prey on them. Fortunately, it still seems to be early days for the newt invasion, so there is some hope that quick intervention could get them under control. Anyone who encounters a newt is encouraged to report them to the Department of Environment and Primary Industries (DEPI). 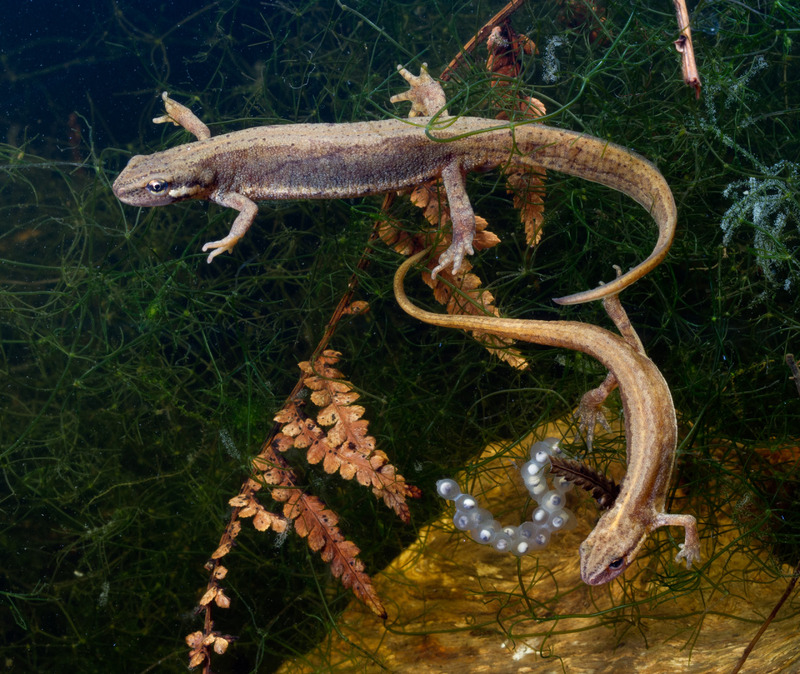 Beth spoke to researcher Dr Reid Tingley about the newts on our show on 10 July 2014. You can listen to the podcast. It’s making the news in oceans both Indian and Saturnian, tracking the movements of space probes and missing Malaysian airliners. And yet you encounter it every day, when you hear a car passing you on the road change from high to low pitch. So what exactly is the Doppler effect, and how does it work? As you might expect, the Doppler effect was named after the Christian Doppler, an Austrian physicist—although he only became a physicist because he was too frail to enter his father’s stonemason business—who proposed it in Prague in 1842. It happens whenever there is movement relative to a source that’s emitting waves, whether they’re light, sound, water or something else. In the case of the moving car, think of its soundwaves as a series of peaks and troughs. The car emits one wave, i.e. one peak, and then another about 1 millisecond later. But in that millisecond the car has moved closer to you, so the second peak has less distance to travel. It therefore reaches you less than 1 millisecond after the first peak does. This means that for you each peak is separated by less than a millisecond, so you hear the sound at a higher frequency. OK, that maybe a little hard to picture, so try it visually instead. Imagine the waves as concentric rings being emitted by the source, they bunch up at the front and stretch out behind it. Or don’t imagine it: look at the picture below. However you imagine it, the frequency change due to the Doppler effect makes a very convenient way to measure velocity, so it has many applications. Talking about moving cars, well it’s the Doppler effect that the police radar uses to tell whether you’re speeding (see the NSW Police Radar Manual [PDF 4.3 MB]). It’s also famously what we use to measure the expansion of the universe. When a light source like a star or a galaxy is moving away from us, the electromagnetic waves it emits go to the low frequency or red end of the spectrum, so we say it’s red-shifted. If it’s coming towards us, it’s blue-shifted. By measuring the redshift of galaxies depending on how far away they are from us, we can calculate how fast the universe is expanding (due to the expansion of the universe, the further something is, the faster it is moving away). But if understanding the history of the universe isn’t enough, the Doppler effect still makes the news; specifically, in the hunt for missing Malaysian Airlines flight MH370. 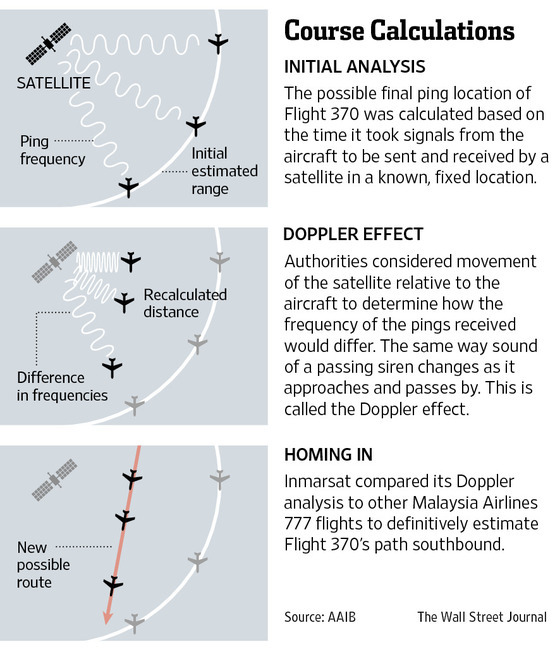 Using what the BBC called “cutting-edge methods”, the British satellite firm Inmarsat received radio pings from the missing plane, and by comparing how the frequency of the signal differed from what it’s supposed to be when it’s transmitted, they could work out how the plane was moving. That’s how they determined it flew to the Southern Indian Ocean, where the search is currently focussed. 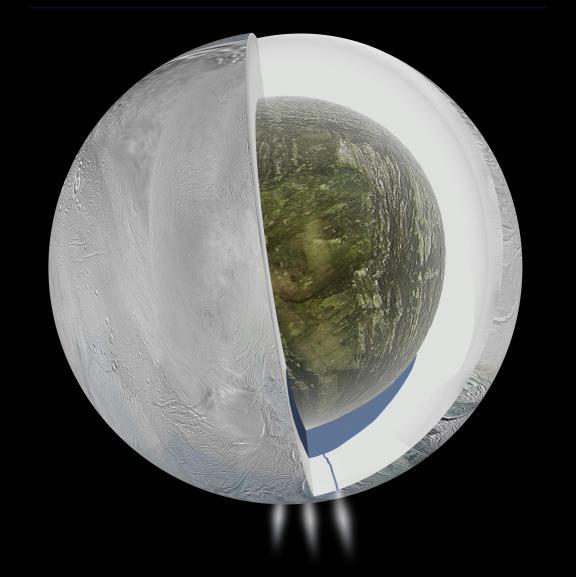 The other bit of recent Doppler effect news was the discovery of an ocean under the icy surface of Enceladus, a moon of Saturn. Again, the scientists used changes in the frequency of radio signals, this time from the spacecraft Cassini, which was flying past it (Iess L, Stevenson DJ, Parisi M, Hemingway D, Jacobson RA, Lunine JI, Nimmo F, Armstrong JW, Asmar SW, Ducci M & Tortora P 2014, “The gravity field and interior structure of Enceladus”, Science, vol. 344, no. 6179, pp. 78–80, DOI: 10.1126/science.1250551). By looking at how Cassini’s speed changed as it flew past Enceladus, they could determine the forces of gravity acting on it, which in turn allowed them to calculate the distribution of mass inside the moon. These were changes in speed of mere millimetres per second, but allowed them to figure out there was liquid water—which is denser than ice—and a relatively light rocky core. So it may be commonplace, everyday science, but it’s good to see the Doppler effect is still making waves after all these years. Recent catches of fish with record levels of radiation show there is still contamination in the waters around Fukushima following the nuclear disaster in March 2011, but fears of dangerous levels reaching the West Coast of the United States seem to be mostly exaggerated. In January 2013, a bottom-dwelling Murasoi fish was caught with 2,540 times the legal limit for radioactivity of 100 becquerels per kilogram (about the same level as a banana). 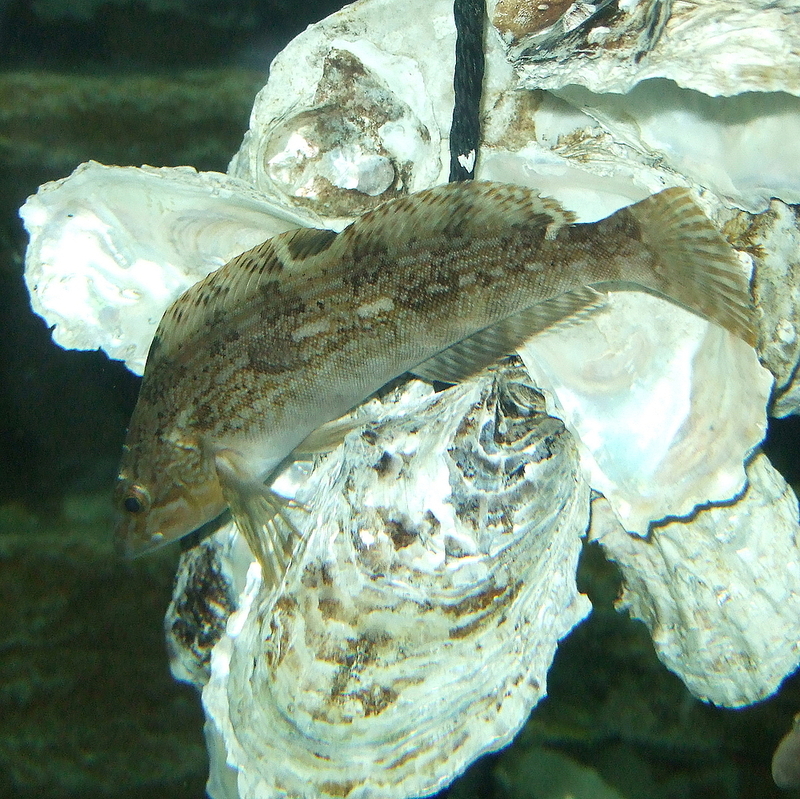 And then in February 2013, a greenling with 7,400 times the limit was caught in a cage next to the Fukushima Dai-ichi plant. Although most fish caught in the area are actually below the safe level, a paper published by Ken Buessler of the Woods Hole Oceanographic Institute in the United States found that the number above the limit is not decreasing with time as you’d expect. This indicates that radioactive caesium is still entering the food chain, either from sediments—these were bottom-feeding fish, remember—or from ongoing leaks (Buessler Ken O 2012, “Fishing for answers off Fukushima”, Science, vol. 338, pp. 480–482, DOI: 10.1126/science.1228250 [PDF 3.7 MB]). This has since been admitted by the Japanese government, with radioactive water leaking from containment tanks into groundwater, which then flows into the Pacific Ocean at a rate of about 300 tons per day. This could mean that fish from Fukushima will be inedible for at least a decade, which could paradoxically mean that they benefit from the lack of fishing—although the long-term effects of radiation on the fish themselves is rarely discussed. This may be because many of the fish don’t live long enough for it to have an impact, and conversely could be why radioactive isotopes have been detected in long-lived, migratory species like Pacific bluefin tuna (Thunnus orientalis), although even then at levels comparable to natural sources (Fisher NS, Beaugelin-Seiller K, Hinton TG, Baumann Z, Madigan DJ and Garnier-Laplace J 2013, “Evaluation of radiation doses and associated risk from the Fukushima nuclear accident to marine biota and human consumers of seafood”, Proceedings of the National Academy of Sciences, vol. 110, no. 26, pp. 10670–10675, doi: 10.1073/pnas.1221834110). As for fears of radiation directly reaching the United States, it was expected to take about 3 years to travel across the Pacific, so should be arriving right about now. The Woods Hole Oceanographic Institute is keeping an eye on that too, with a citizen science project asking people to send in samples of seawater for testing. As of yet though, their results are showing no detectible caesium from Fukushima. But what about Australia, you may ask? Well, because we’re in the southern hemisphere, it will take even longer to reach here—about 5 years, according to a report from the Australian Radiation Protection and Nuclear Safety Agency [PDF 1.7 MB] (although a small amount of atmospheric fallout was detected here in April 2011). By then though, it will be diluted even more than it is in the United States, so is unlikely to be of concern.